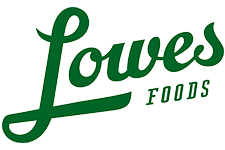 Here are the deals in the Lowes Foods Ad 4/8-4/14. There are great deals on canned tomatoes, whipped cream, and more. Jumbo Sweet Cantaloupe, at $3.99 ($1.99) ea. Dole Gold Pineapple, at $4.99 ($2.49) ea. Extra Large Mangoes, $1.25 ea.